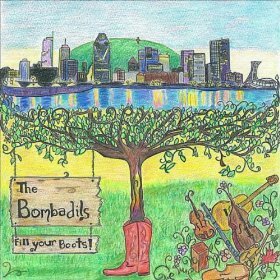 The Bombadils released their album “Fill Your Boots” in 2012. Whether you think “Fill Your Boots” means “get moving, take responsibility, don’t waste time’ or “live life to the fullest, take in all that you can possibly absorb” I’m pretty sure you’ll enjoy the 10 Celtic/progressive folk/bluegrass songs from this album plus tunes from their next album (to be released in August 2014) at the performance on Saturday, May 17 at 7:00 pm. If you’d like to attend RSVP by contacting Tim at 717-940-9311 or by email at tlehman9@gmail.com. Donations at the door (15/20), Potluck at 6:00, Show at 7:00. Come and fill your boots. This entry was posted in Uncategorized, Upcoming House Concert and tagged Alan Mackie, Anh Phung, Chestnut House Concerts, Lancaster PA Events May 17, Luke Fraser, Sarah Frank, The Bombadils by chestnuthouseconcerts. Bookmark the permalink.